With bright colors and playful fonts, our lunch bags and lunch boxes are easy to personalize to fit your child's style! Our easy to carry lunchbox is great for younger children to carry to playgroup or kinder. 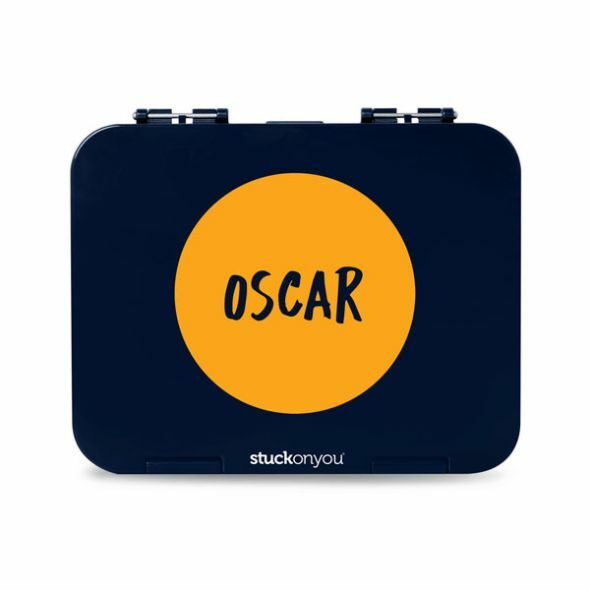 For older children, a Stuck on You ® lunchbox is a great way to keep food items together in school bags. A great gift idea for children starting school, or for those kids looking for something a little bit special! Keep Lunches Fresh With Our Personalized Insulated Lunch Boxes! 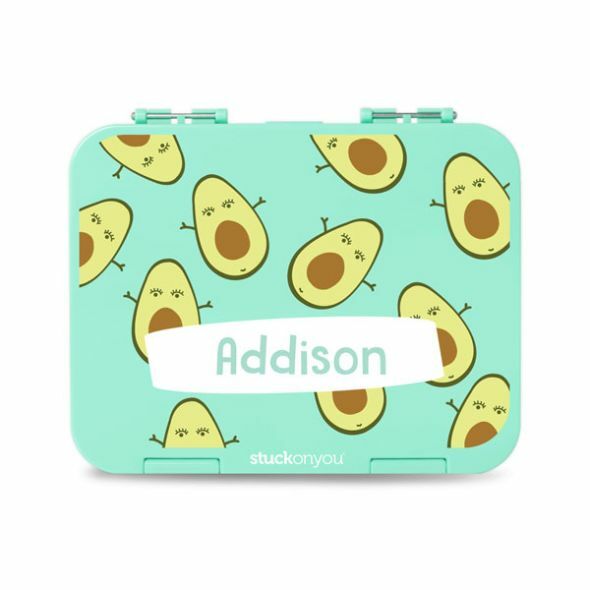 Our Personalized Lunch Boxes boast water resistant insulated foil lining that keeps lunch as fresh as when it was packed. The lining makes the bags super easy to care for - just wipe it down and it's ready for another lunchtime! Use our product builder to choose from a range of offered colors, fonts and original designs, then simply add your name! 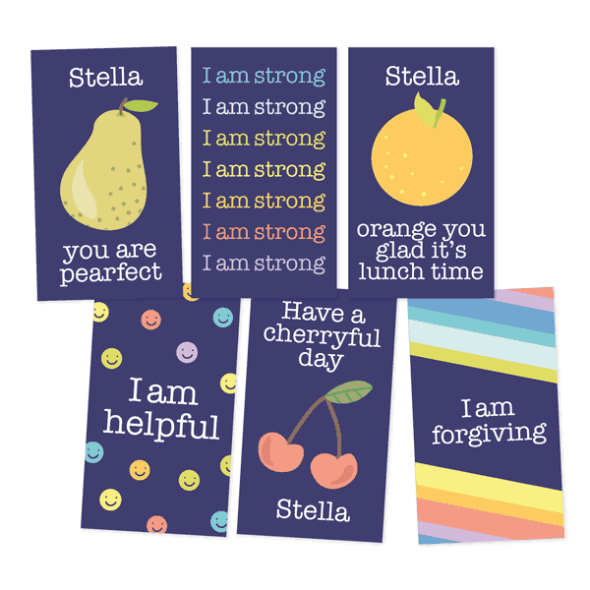 You will love being able to preview your finished, personalized product before placing your order! 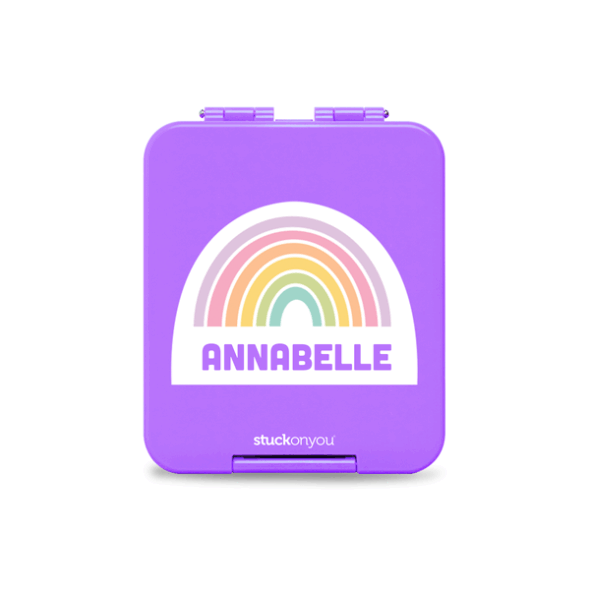 When it comes to Personalized Bags and Lunch Boxes, go with the original and the best at Stuck on You ®. Not too sure which of our products to choose? Contact one of the friendly team at Stuck on You ®, they will happily advise you on which product might best suit you. Sign up and subscribe to our newsletter to receive exclusive updates on our products! I am very happy to hear your products are of a high quality as we do ensure only the best quality in all of our products! I hope you and your daughter enjoy her new Penny Scallan Lunchbox! Thanks again for the wonderful feedback!